Jenny is some kind of weird creature too. [/spoiler] I really think these twists set a good course for the next book and I'm very excited to continue reading about this story. This is a story about childhood, memory and magic. It had an incredible potential, just look at the topics I had just mentioned! But it was a very painful read. I'm giving it two stars because I liked the blurry line between fantasy and reality, but apart from that, the plot is dull, the fantasy-world creation is mediocre and the creatures were not impressive at all. Here is the thing: when you finish this book, you have to make a choice, a choice you have been pushing away during the whole book. Is what George tell us true or is he, as a child, an unreliable narrator? Of course, as a grand lover of reality, I picked the second option. But Gaiman wasn't letting me choose freely. If someone wanted to believe that all that had happened was true and the world had these weird, useless creatures going around, they would feel a deep void when they close the book. What I'm trying to say, without giving away to much, is that the events that took place in this story made no sense, they were pointless. It could have been a lot better if the fantasy world would have been different. At least, if it was a world with some cohesion. I get that a seven-year-old boy (if he made everything up as I think)can make a world without rules, but I don't see the point in telling the story then. What bothers me more than anything is that George, now a grown up man doesn't even question himself about it at the end. I was expecting a lot more about this one, and the only thing that I've got is a huge disappointment. 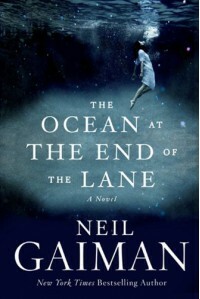 I think that I won't read another Gaiman's book ever again. Todavía estoy un poco indecisa y no sé si puedo escribir una reseña decente, pero lo intentaré. El último libro en ésta trilogía que empezó tan bien no estuvo, en mi opinión, a la altura de sus predecesor Correr o morir. Estuve a punto de darle 4 estrellas debido a que disfruté mucho la primera mitad del libro, seguramente porque mi personaje favorito, Newt, aún vivía.Algo que me di cuenta es que ésta saga tienen exactamente la misma estructura que Los juegos del Hambre. En el primer y segundo libro, los personajes son puestos a prueba por una entidad malvada y en el tercero, los protagonistas se unen a otra agrupación para derrotarlos. Y, más precisamente, se dan cuenta que ninguno de los dos grupos son genuinamente buenos y deben luchar por sí solos Éste descubrimiento me decepcionó un poco, pero intenté no darle mucha importancia y continuar leyendo hasta el final.Thomas... qué decir de éste chico. Nunca me convenció como protagonista. Frente a personajes tan fuertes como Newt y Minho queda un tanto opacado.Algo que me pareció genial del libro fue el desarrollo de la transformación de Newt. 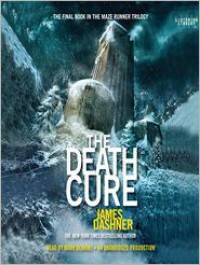 Por más de que era una de las personalidades más fuertes de la saga, me pareció totalmente necesario y me gustó la forma en la que Dashner escribió todo su proceso. 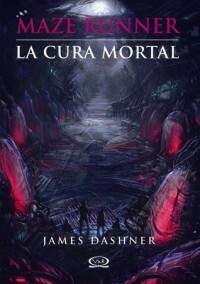 Además, me gustó mucho que Dashner no contestara todo explícitamente, me encantan los interrogantes y finales un tanto abiertos para poder imaginar yo sola lo que pasó realmente.Algo que me pareció un tanto extraño fue la muerte de Teresa No la quería demasiado pero tampoco me pareció que fuera necesario. ¿Habrá sido para que Thomas no tenga que elegir entre Brenda y Teresa?En fin, me emocioné un poco al final cuando volvieron al Laberinto y me decepcioné enseguida por lo poco creíble que resultó la situación. ¿Bombas que destruyen el Laberinto, bajo tierra, y que luego afectan las construcciones por encima de él? Tal vez esté un tanto crítica, pero espero poder apreciar Virus letal. Well, what can I say? I was missing this saga and its simulations. Veronica Roth did it again. Incredible. Four's is an amazing point of view to write on. I like him better than Tris as narrator (was that really neccesary to tell? 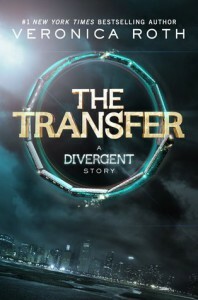 )In this little story, we get to know more about Tobias and his transference from Abnegation to Dauntless. The majority of the information we already knew, but not from Four's mouth, so it's great to dive into his thoughts and figure him out a little bit more.Another nice thing was the return of the Dauntless headquarters as the main settling of the story. In my opinion, that is what makes the first book, Divergent so distinctive. The Dauntless quads are unique, with its dim rooms and corridors.What caught my attention the most was Eric. Yeah, the tough guy that led the initiates in Divergent. We get to know him right before entering Dauntless and he's shown like a vulnerable and almost fragile being. Yeah, before he had the chance to enter to his fear landscape! What a brave guy!Now, all I have to do is wait till October 22nd to find out if that creepysculpture has something to do with the third book cover. Espectacular. Nunca había leído una novela estrictamente sobre física.En El país de las Maravillas, acompañamos al Sr. Tompkins, un empleado bancario frustrado tras concurrir a una conferencia sobre relatividad, a través de sus sueños. Pero sus desvaríos no son para nada alocados. El Sr. Tompkins sueña sobre un Universo con mayor constante gravitatoria, mayor constante cuántica, velocidad de la luz menor, etc; mostrándonos como sería el mundo si pudiéramos observar los fenómenos que sólo las partículas muy pequeñas experimentan. Demasiado interesante y divertido como para no leerlo. Ok, so now I can say that I've finished my second saga!First, I must say that I liked that this book was different from the other two. No more Hunger Games! That thing was getting old. 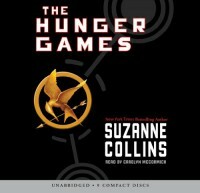 It was a new take on Katniss' life and I enjoyed that.I loved the unnecessary violence trapped in its pages. It made the whole thing feel real. But all the deaths of important characters were described in such a quick, silly way that it bothered me. That issue didn't let me enjoyed the book completely. For example, Collins wrote Finnick's death in one sentence! Finnick deserved a lot more. Prim was blown to bits in the last words of a chapter! Another thing that bothered me was Cinna. MY DEAR CINNA was presumed dead on Catching Fire, so I was looking for him on Mockingjay I look at every corner, every Capitol's cell... And I didn't find him. How dissapointing. But I kind of forgave Collins because she introduced Effie Trinket's character back in the story.But the most irritating thing was the end of the war. 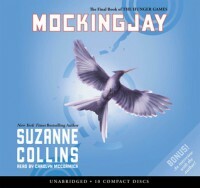 Katniss is taken to the hospital after the explotion and when she cleans the morphling out of her body a little bit, she realizes that the war is over, that Coin is the new president, that Snow has been captured... She was the leader of the revolution and it ended up without her?This book has his dissapointing acts, but I agree that it's the best of the trilogy.Goodnight, and may the odds be ever in your favor! ¿Qué decir de éste libro? Lo terminé anoche y todavía no puedo escribir nada coherente. Desde el primer momento, al abrir el libro y leer el título del primer capítulo, "Inocentes", supe que éste se iba a convertir en uno de mis libros favoritos. Miento, desde que leí la cita a Memorias del subsuelo supe que algo genial me estaba esperando en esas páginas. 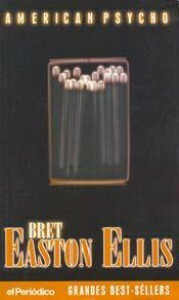 Y así fue.Bret Easton Ellis nos da la posibilidad de acompañar a Patrick Bateman en sus locuras, de escuchar sus macabros pensamientos y de ver a través de sus ojos. Pat trabaja en Wall Street y su máscara está a punto de romperse. Típico americano estereotípico de los '80, preocupado por su traje de Ralph Lauren, sus zapatos de Fratelli, su corbata de Yves Saint Laurent y su espuma para el pelo; que hace más de dos horas de ejercicio en Xclusive y pasa más tiempo en restaurantes y bares que en su oficina. Pat podría se muestra perfecto, y nadie podría sospechar que detrás de esa máscara, se encuentra una mente atormentada, esperando encontrar a su próxima víctima.No quiero extenderme mucho para no arruinarle el libro a los que todavía no lo leyeron, pero voy a hablar un poco de la manera en la que está escrito. Y no podría decir menos que: maravilloso. Las descripciones de cada personaje y sus elegantes atuendos, las ocurrencias de Pat, todo está escrito a la perfección. Las patéticas conversaciones entre Pat y sus amigos de Wall Street, que hacen que nuestro querido psicópata se empiece a aburrir y comience a divagar están perfectamente realizadas para que nos sintamos algo culpables al aburrirnos un poquito también.Y el final... qué genial que fue todo. La confusión mental de Patrick y ese gran cierre, "Ésta no es una salida". 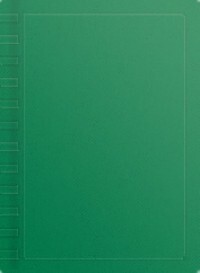 Me gusta esa ambigüedad y poder decidir mi propia salida.Hice un gran esfuerzo por escribir algo que describiera lo que siento luego de haber terminado éste libro, pero la realidad es que no se puede transmitir correctamente con palabras. Hay que leerlo, definitivamente. 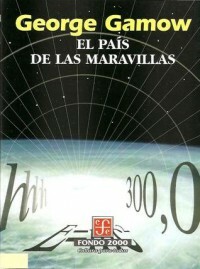 Lectura obligada. I tried. A lot of people recommended me this book since I liked Divergent but it was very difficult to finish it.The main idea was okay. The United States are now splitted into 12 districts and controlled by The Capitol. The districts waged war on the Capitol and were defeated. As part of the surrender terms, each district agreed to send a boy and a girl each year to be part in The Hunger Games. That means that each year, the boys and girls from the districts will have to fight to dead until only one of them if left. What I didn't like was the "fight against capitalism" analogy that it's meant to be presented in the book through the rebellious spirits of Katniss, Gale and Peeta. I didn't buy it. It seems forced, not genuine. Also, the story is told from Katniss' point of view and she is the most boring character ever written. She thinks that music is unnecessary! Well, some of you may argue that she lives on a poor area, she needs to hunt, to support her mother and sister... so she doesn't think music is important, that it's useless for her life. But I can't conceive that thought in my mind. Music make us free. It give us a moment to clear our minds, to disconnect ourselves from the world, to know that we are not alone...Anyway, what I despised the most was the romance in this book. It was dull and empty. 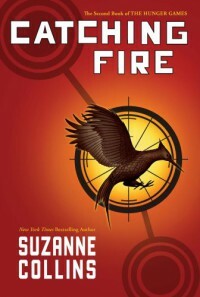 I was liking the book so far, mainly because of the games and its violence, until Katniss teamed up with Peeta and a completely different story took up. I think that this could have been a lot better without those pointless bits of humdrum love.And what about those mutant werewolves at the end? Suzanne, that was not a great plan to finish off the games. I hate paranormal creatures being used to get a climax. I hate being introduced paranormal creatures when they are completly out of context.I know that someday I'll read Catching Fire, because I'm too curious but I'm not sure if this is the time to continue. Maybe I'm in bad mood. Maybe it was not the correct moment to read The Hunger Games. 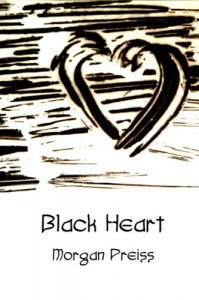 The autor gave me a copy of this book. Thanks for letting me read it!Ok, first of all, I must say that I dislike paranormal fantasy books. But this one is different. 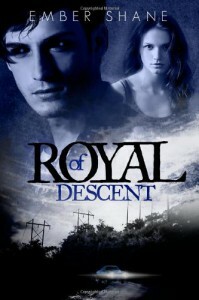 It's kind of a parody to the paranormal romance genre. I found myself laughing a lot during the reading. I mean, how couldn't you? Vampires and werewolves on cocaine and meth, a crazy guy that kills paranormal creatures to feed her mother with their hearts, etc.However, I think that I would have liked it better if Chapter Ten had been the epilogue. All that romàntique stuff was out of place, in my opinionA light read, perfect for this times of exams and chaos. 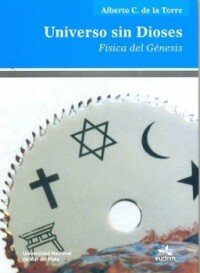 El autor de este libro es mi profesor de teoría de Introducción a la Física. Tuve mucha suerte. 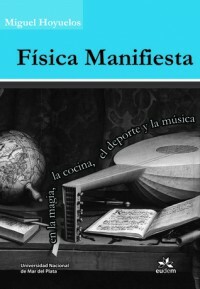 En este libro, se nos presentan distintos fenómenos de la vida cotidiana, ya sea referentes a la música, la cocina, el deporte, o incluso la magia y sus correspondientes explicaciones a partir de la física. Es clara entonces la visión de la ciencia como una herramienta para comprender el mundo y no como un montón de fórmulas para resolver problemas. Es accesible para cualquier persona interesada, aún con muy pocos conocimientos de física ya que está explicado con muy pocas fórmulas y de manera excelente.